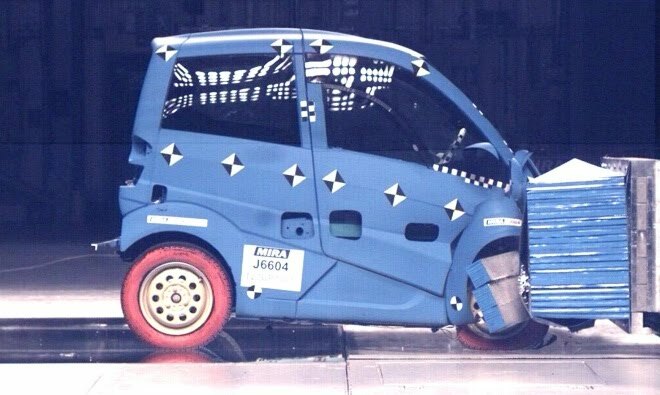 Some good news but also questions arose last week as Gordon Murray Design published crash test results for its micro city car design. The good news is that Murray’s new baby passed the statutory impact test – a 56km/h (35mph) run into a deformable barrier, overlapping the front of the car by 40 per cent of its width. 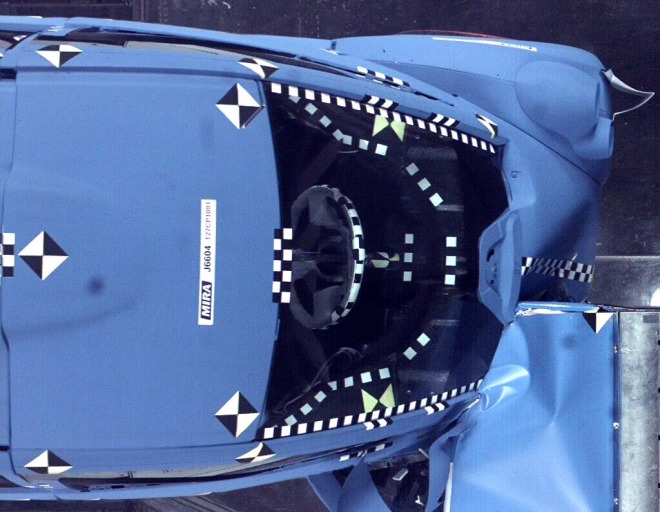 This successful test comes despite the apparent absence of anywhere to hide a crumple zone in the car’s pert nose. Murray’s car is just 2.5 metres long and 1.3 metres wide, and must be among the most compact cars – if not actually the smallest car – to pass the compulsory ECE R94 test. 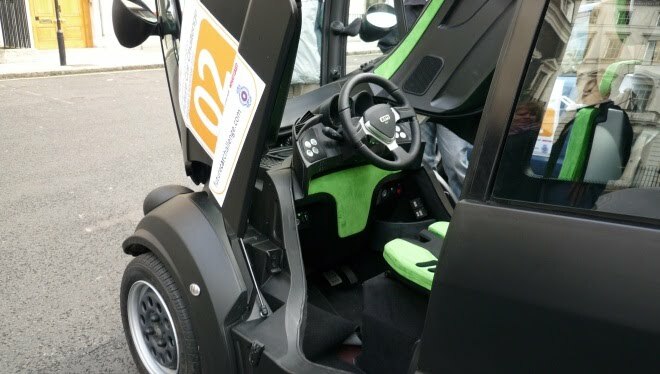 The particular car making intimate contact with the test barrier was a T27, the electric vehicle version of the more widely publicised T25. That made the test tougher as the T27 is roughly 130kg (about a quarter) heavier than its petrol-powered brother. 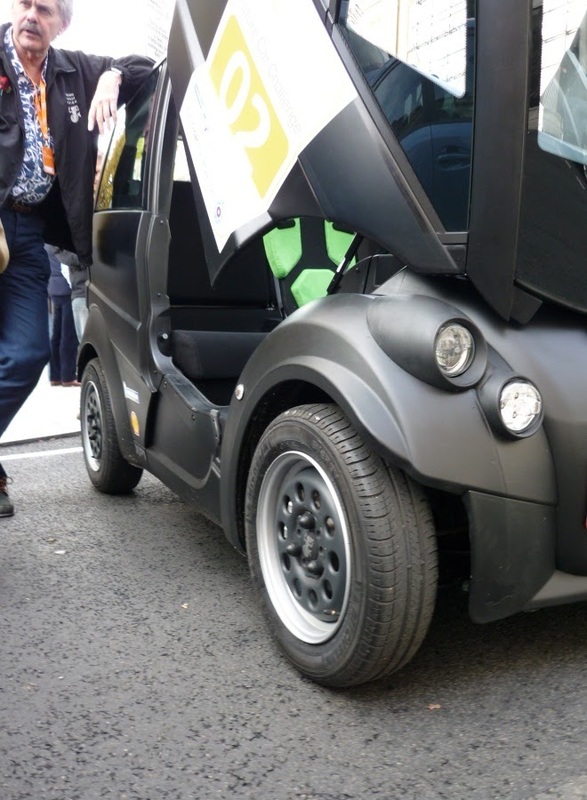 For designer Gordon Murray, the test is a vindication of his innovative iStream construction process, which bolts composite panels onto a welded and bonded tube-and-sheet chassis. The approach is designed to dramatically reduce the cost, time, energy and materials poured into car construction. He hopes to licence the process to third-party manufacturers but to do so he needs to prove that the resulting cars are safe. While iStream can be scaled to build cars large or small, the tiny city cars provide the toughest test. If they can be made crashworthy, doing the same for a Focus-sized equivalent would be a doddle. Murray has said he expects the tiny T25 to gain a four-star rating under the much tougher but voluntary EuroNCAP test regime, which sends the car into a barrier at 40mph. The 5mph increase in speed might not sound like much, but it increases the energy of the impact by 30 per cent. It remains to be seen how well the T25 or T27 will cope with this higher hurdle. The two images published by Gordon Murray Design last week, to accompany the news of the successful crash test, were not quite what they appeared. It would be natural to assume that they depict the actual statutory crash test, but they don’t, because there are no dummies on board. The two photographs also don’t tell the whole story of the crash, because they are freeze frames taken during the first phase of the crash rather than at the end of it – you can tell because the car hasn’t yet started to swing sideways, as all cars do when striking an offset barrier. No doubt the final result is a rather more damaged vehicle. It can’t be too badly mangled, though. To pass the statutory test the doors – or in the T27’s case the nose-hinged canopy – must be able to open without tools after the crash. And finally it is worth remembering that all crash tests share a basic flaw, in that few people run off the road and into a uniform aluminium honeycomb bolted to a big lump of concrete. It’s more common to hit another vehicle that could be anything from a moped to a juggernaut. Small cars start off with a natural disadvantage in real collisions because he who brings the most mass to an impact generally wins (always assuming your softly-sprung mass doesn’t roll over and crush you). Mindful of this fact, Murray has pledged to campaign for new safety rules for small urban cars. Because the most vulnerable thing found on urban roads is the squishy, squashy, fluid-filled human body. Murray wants to see new kinds of crumple zones built into small and light urban cars that can better protect pedestrians. Last year he told me his T25 design is one of the most pedestrian-friendly cars yet built. I do hope the T25 and T27 will go on to pass the stringent EuroNCAP test. I think a row of stars will be essential for Murray to get the iStream process off the ground. And I also hope he is successful in his bid to get a new set of rules established to govern city-car construction.